If you want to explore the world, you need free hands and a good visibility. No problem with the EXPLORER line-up: the lanterns can easily be placed on the floor, the headlamps hold comfortably around your head, the floating lantern does not sink when fallen into the water and the worklamp can be attached nearly everywhere thanks to its magnetic elements and twistable hook. 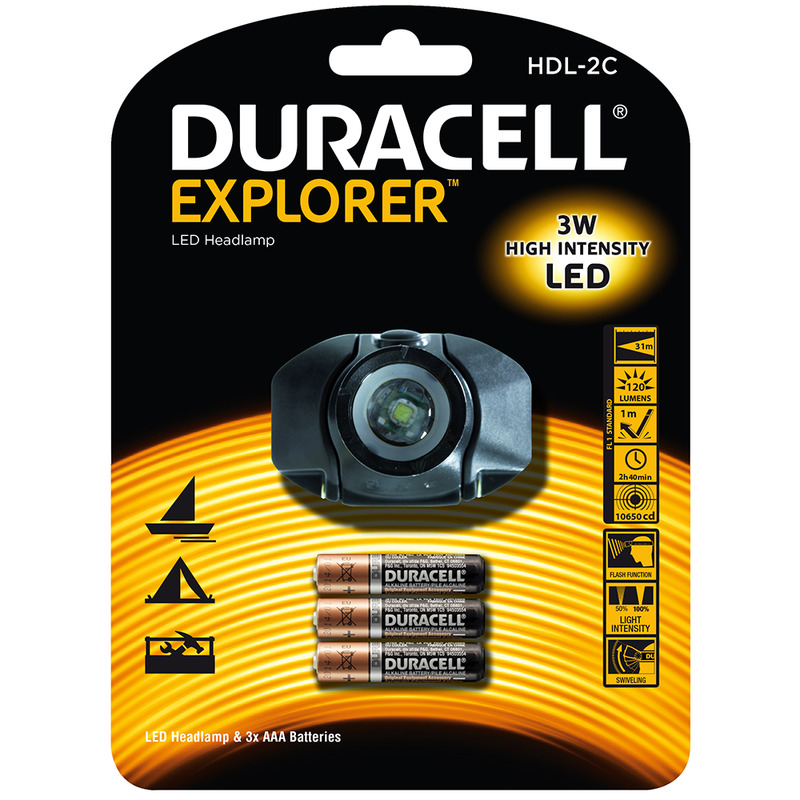 The HDL-2C disposes a powerful 3W High Intensity LED that provides up to 2 hours and 40 minutes of extra bright light with a light intensity of 120 Lumen in three different light modes: 50%, 100 % or strobe effect. The HDL-2C fits comfortably around your head, for free hands and a great visibility. Thanks to its swiveling head it provides the most convenient light whatever you are doing.